Any nutritious substance that people or animals eat or drink, or that plants absorb, in order to maintain life and growth. 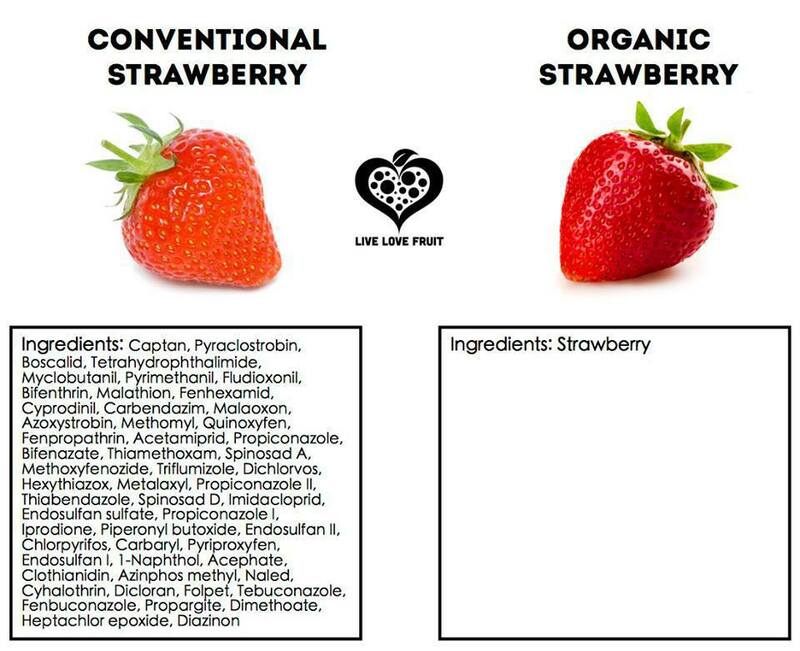 I could probably write a whole book describing the toxic effects of each of the conventional strawberry’s “ingredients”, but I’m called to other efforts. If you are interested in how everyday chemicals impact your body then I highly recommend Nina Baker’s The Body Toxic. I was sold on her after reading this very digestible take on complicated material, but then she did me the favor of responding to the email I sent her shortly after being diagnosed with ALS. Such a human thing to do. hi there, i mistakenly thought you were asking me for a source and began gathering info before i realized you had simply reposted my post (thank you, btw). i am happy to provide this link anyway to a great source on all the chemicals found on strawberries: http://www.whatsonmyfood.org/food.jsp?food=ST. it’s a link to Pesticide Action Network’s “what’a on my food” page where they have a database on pesticides found on a long list of foods. happy reading!